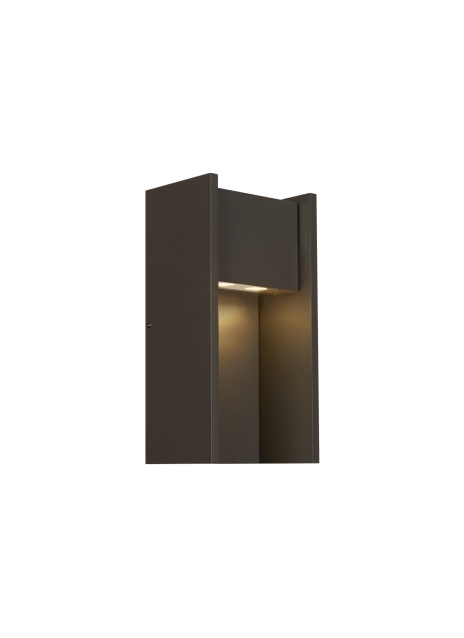 Exhibiting a refined and unadorned minimalist aesthetic, the Zur outdoor wall sconce by Tech Lighting features an innovative 240° pivot design that aims light precisely for exterior way finding and general illumination. The refined, unadorned minimalism of the Zur wall sconce allows it to become an ideal complement to contemporary architecture. Adjustable head pivots 240° . Available in 3 sizes. 12”, 18”, 24”.